I can’t believe it’s been 7 months since we had our weekend trip to Vienna in April. It’s been a busy time and I’ve been focusing so much on building my photography portfolio that my blog has been a little neglected apart from the odd sharing of a client shoot. Back in June, I shared Part 1 of my wedding photos for the lovely David & Amy. This was my first ever wedding shoot and it was the biggest risk I've taken with my photography so far. Whilst at times this was oh so scary and unbelievably nerve-wracking, I am so pleased I put myself out there for this opportunity as I learnt so much from the experience and it has really helped me to turn a corner with my work and direction for Morganna Designs. Back in May, I did my first proper portrait session with the lovely Laura who was after some new head-shots and images for her new design portfolio. 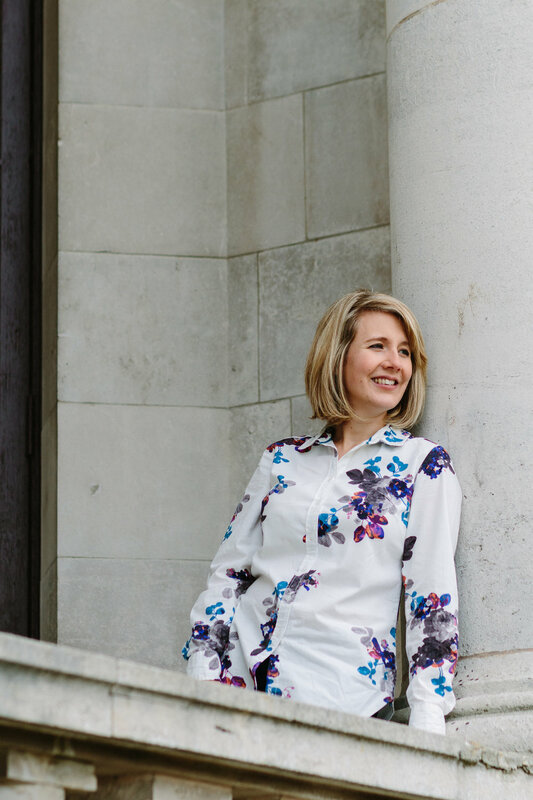 I've known Laura for quite some time through my day job at Lancaster University and it was great to spend a spring morning with her at Williamson Park capturing these images. So pleased to share a little sneak peek of the wedding photos for the adorable David & Amy who married in the spring sunshine of this grade II listed country house overlooking the Yorkshire Dales. It was a beautiful day! Hi – my name’s Morganna and I’m an aspiring photographer looking to build my portfolio. I’m relatively new to the photography game and it all started back in the summer of 2015 when I started Morganna Designs online and wanted to take better images of my floral designs. Two years later and I still have my trusty little canon EOS-M which I use for all my photography, investing in new lenses and little bits of kit as and when I can. Last month, my sister came to visit us in Lancaster and I took her to Morecambe for the day. We strolled along the promenade, visited the Old Pier bookshop and had lunch at Sassparella Vintage cafe. We then had half an hour for me to take some photos before our car park ticket ran out. In my last post, I shared my goals for the year ahead including my commitment to a photography 365 Project: a simple goal to get my camera out everyday and take at least one photo. I tried this last year, but quickly got discouraged when busy working life took over and I missed a few days without taking any photos. This year, I'm more determined to keep up the practice, but I'm also being kinder with myself if I miss a couple of days. When this happens, I remind myself what the aim of the goal is, essentially to make photography a part of my daily life, to really get to grips with how my camera works, to get quicker at changing my camera settings to catch the shot I just don't want to miss and most importantly, to track my progress and visually record how my skills are developing and my practice is changing.